Researchers have sounded a warning after the results of a 10-year study suggested two strains of influenza could mix and form a dangerous new strain of influenza spread by dogs. Associate Professor Daesub Song, of Korea University in Seoul, has called for closer monitoring of dogs and other companion animals as they could be a source of novel human influenza strains. “Until now, dogs were considered neglected hosts in the field of flu research,” he said. In the 2000s, several cases of viruses crossing the host barrier were recorded. Most notably, H3N2 bird flu crossed over to dogs and developed into Canine Influenza virus (CIV). 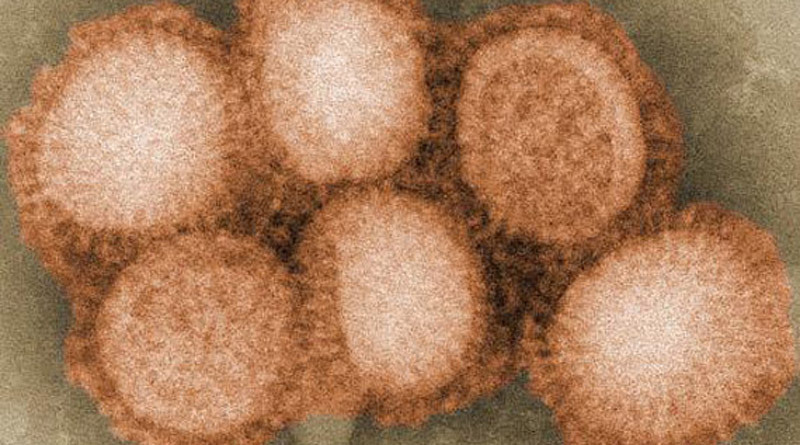 Song’s research has found that this H3N2 CIV could combine with H1N1/2009 and form a new influenza virus, called CIVmv. Those infected will have not come into contact with a virus like this before, meaning they would not have immunity to the disease. If the virus could be carried and spread to humans from companion animals, it could have the potential to spread throughout the population extremely quickly. H1N1/2009 is known for causing the 2009-2010 global “swine flu” pandemic. When this strain of influenza combines with CIV in dogs, some of the viruses recombine to form CIVmv. Although CIVmv is very similar to CIV, researchers have calculated there is a much higher risk of the disease spreading to humans due to its high infection rates in ferrets. During their studies of the new CIVmv strain, Song noted that infected dogs and ferrets displayed typical symptoms of respiratory disease, including congestion, breathing difficulties, coughing, runny eyes, sneezing, lethargy, and appetite loss. As well as these symptoms, he reported that the new strain spread between ferrets more quickly than other influenza viruses and replicated quickly. Despite being named Canine Influenza Virus, it is not just dogs that can be infected by CIV. During the ten-year study, researchers found that cats were also susceptible to the virus. Dr Song investigated an outbreak of CIV in an animal shelter, during which 100% of the cats were infected and 40% died. Researchers have raised concerns as there is a potential for the virus to become endemic in companion animals. As both dogs and cats are in frequent contact with humans, much more frequently than pigs or chickens, the potential risk for a new strain to develop and infect humans is even higher. Since being first identified in South Korea, CIV has spread to China, Thailand and the United States. A case of CIVmv infection was identified in a dog in 2012 following an epidemic of H1N1. Song used this strain in ferrets to determine whether it had the potential to spread from canines to humans. From there, a novel human influenza strain could emerge. “Pre-existing CIV may recombine or reassort with human influenza viruses and give rise to novel viruses that could in turn lead to unique pandemics,” he said. In recent days more than 50 researchers, academics, government representatives and policy makers have met in the Philippines to discuss strategies to tackle livestock diseases that have the potential to infect people. More than 60% of current infections in humans originate from animals, and a major challenge to sustainable growth in the fast-growing livestock production sector of the food industry is the many diseases – viral, bacterial and parasitic – which can cost productivity. After the gathering led by Britain’s Lancaster University and the University of the Philippines, Dr Munir Muhammad, from Lancaster’s Faculty of Health and Medicine, said the links established would provide foundations to mutually tackle infectious diseases in livestock and humans in the near future. During workshops, researchers discussed the major challenges and research advances in the control of livestock diseases. In other sessions, delegates discussed the role of academia in driving livestock disease research, the importance of developing better disease measures, livestock disease impacts on humans, and the contribution by the farming sector in developing countries.